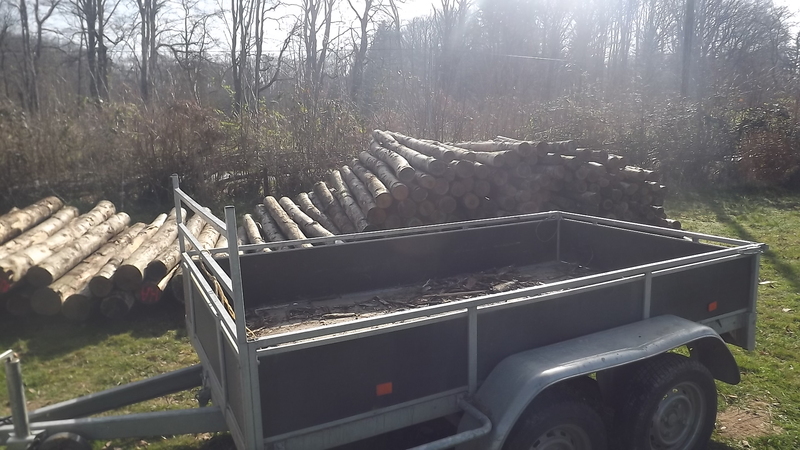 Fiona ac yr wyf yn awr wedi casglu 25 metr ciwbig o Chestnut swyddi yn barod ar gyfer ein haf Naturiol Cwrs Adeiladu isod gallwch weld y pentwr ar ôl i ni wedi llenwi y trelar am yr ail dro, hanner llinell ffordd pinc i lawr simnai hwn yn nodi yr hyn yr ydym wedi talu am. 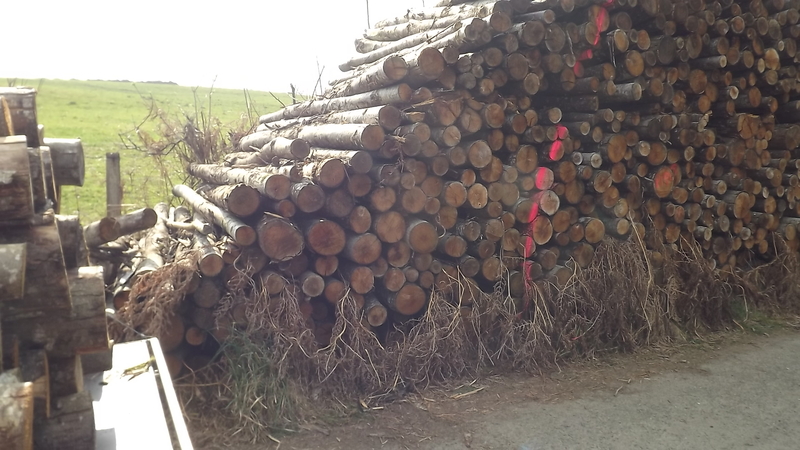 The larger posts will be used to form a timber henge to support the reciprocating roof, many of the smaller ones will be used for fencing to extend our cell grazing program for our livestock. The collection took 3 days of hard physical work. 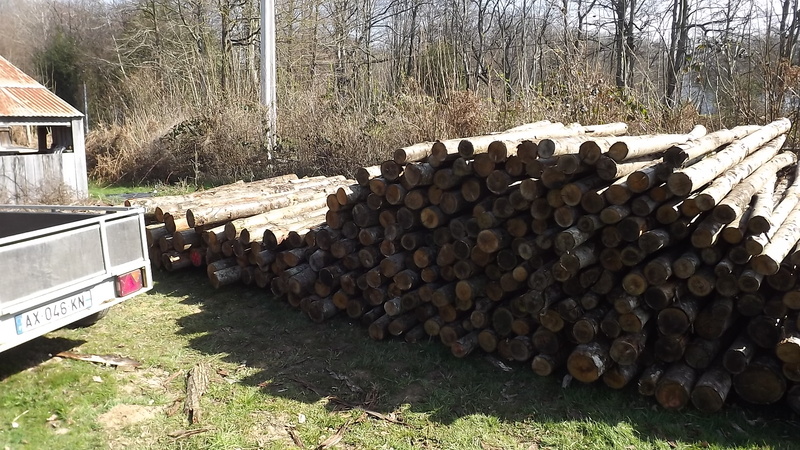 We loaded the wood by hand at one end and then unloaded it again on our camp site stacking the larger posts at one end of the pile and the small ones at the other and medium sized ones in the middle. 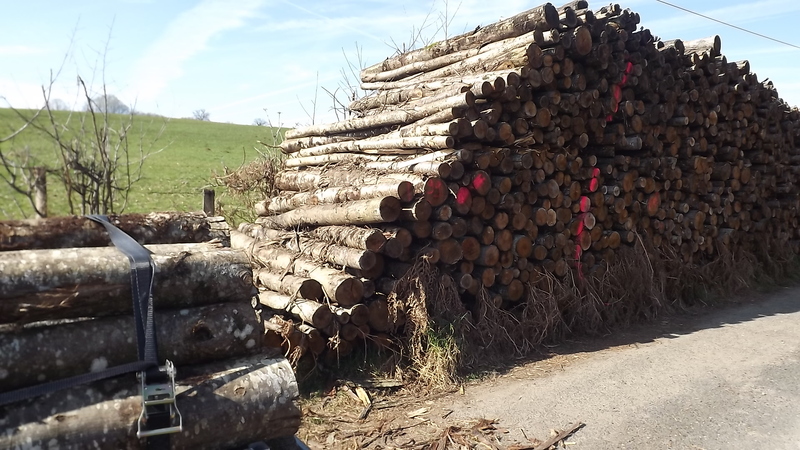 These posts represent income for our neighbours from a sustainably managed coppice which has existed for generations of the same family farming on the same land, we actually purchased them through an agent but met up with the family harvesting more posts for their own use while we were collecting ours. You can see we are getting closer to the line now. Closer but still another days work ahead of us. 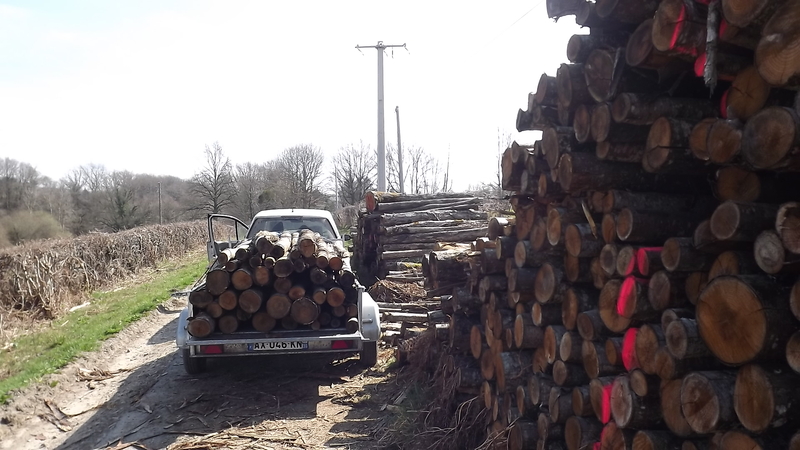 We have already started to install some of the posts for fencing and planted some new hedging plants, the post are all 2.5 meters long so we are able to cut two 400mm pieces off of each fencing post for later use in the cord-wood construction which will surround the timber henge in the final wall construction. 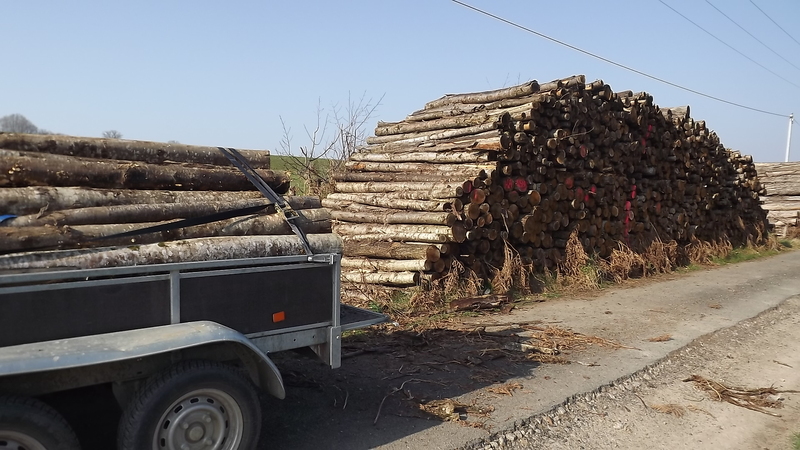 There is now more timber to collect from our direct neighbours forest which will be used to construct the reciprocating roof more about this in another post.